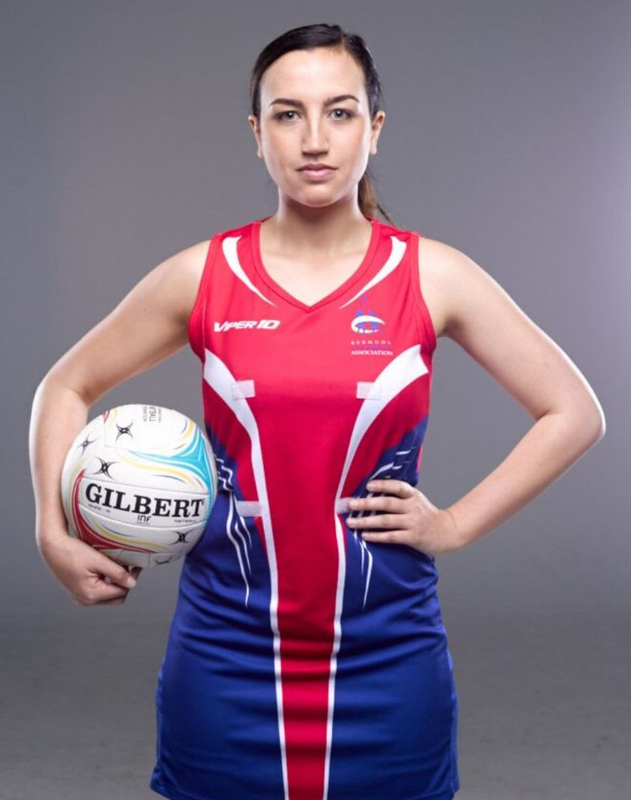 In the fourth in a series of profiles of netball players who will be part of the team representing Bermuda at the Netball Europe Open being held in Scotland from May 11th to 14th, we spotlight Talia Lucas, a 26-year-old who plays in the Goal Attack, Wing Attack and Goal Shooter positions. 1. How does it feel to have been selected for such an elite squad? It is an honour to be included in the national squad and I feel privileged to have this opportunity to represent Bermuda. 2. How will you prepare for the competition between now and May 11th? Being a shooter, my responsibility for the team is to score the goals – my preparation will be focused on fitness, shooting practice and building strong relationships with the other attacking players to ensure we effectively function as a unit on court. 3. Will this be your first time in Scotland? Do you plan to take time to see some of the local sights during your time there? This will be my first time travelling to Scotland, during the trip my primary focus will be preparing for and recovering from each game; however, if possible I would love to go hunting for the Loch Ness Monster. 4. When did you start playing netball and what prompted you to start? In Australia playing netball is a rite of passage for most girls and I was fortunate that my mother encouraged me to play. When I moved to Bermuda by myself in 2013, netball was a great way for me to quickly make friends on the island. 5. Do you feel the sport of netball gets enough support from the local community? Playing sports teach young people valuable skills that can be transferable to life, including; resilience, perseverance, team work and learning from failure. Coaches and Team Managers can also play pivotal mentoring roles for players, supporting them in their development on and off the court. Netball in Bermuda has the potential to make a huge difference in the lives of young women and for that reason, I would love to see support and participation increase. 6. What are ultimate goals in life, both on and off the court? Annually I set myself specific personal and career goals and these continue to evolve throughout the year – in 2017 my goals are to deliver for my team in the Netball Europe – Open and to read 52 books. 7. If you had to, for some reason, have one non-netball player on your team, like a local politician/entertainer/public figure, who would you choose and why? I would love to have Flora Duffy on my team – her grit and stamina would be a boon on the court in a tough game. 8. Which Bermudian athlete, coach or sporting figure do you admire most and why? I most admire Shelley Pearson – she overcame two injuries to be the first female Bermudian rower in the Rio Olympics. Her dedication and passion for sport is inspirational, and reminds me to give my all every time I have the opportunity to play netball.